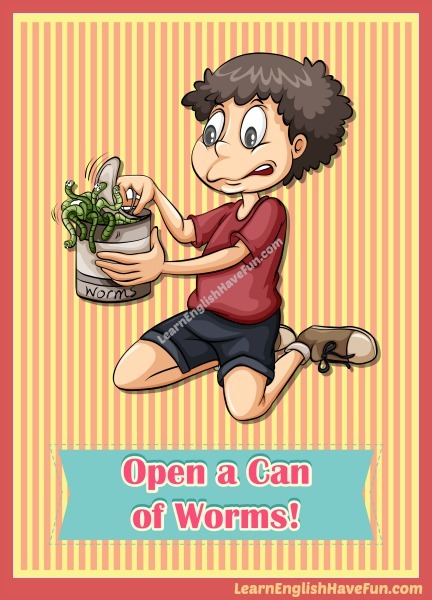 (open / open up) a can of worms: a situation or issue that becomes even more complicated as you try to deal with it or solve the problem. Fishermen often attach a live worm to their fishing hooks as bait to catch a fish. If they carry the worms in a can (like in the picture above), when they open it a bunch of tangled worms will crawl out. By trying to help yourself catch a fish you have created a messy problem / situation. When Sarah decided to look at her boyfriend's iPhone she opened a can of worms. When I discovered white powder in my daughter's bathroom I thought I'd found a can of worms but fortunately it was only translucent face powder. I never reported my supervisor's sexual comments because I thought it would just open up a can of worms and my situation would become even worse. Commenting on my wife's appearance always opens a can of worms so I never say anything anymore. The investigation of the police chief opened a can of worms at the police department. Our new spokesman opened a can of worms when he got arrested for drunk driving—for starters, we work with handicapped children so it's not good for our image and now he is not able to travel abroad for the next three months. Giving my secretary a small raise opened a can of worms at the firm because everyone found out about it and now they want the same salary increase. The investigation of donations made to the winning candidate during the election has really opened a can of worms. I'd never have imagined that my daughter's selling cookies at the park would open a can of worms but now we are in trouble with three different government departments. 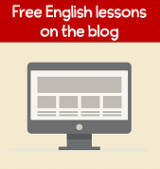 Was this idiom useful? If so, why not sign-up for my free newsletter so you can learn about new updates to my website? Practice is the best way to remember new vocabulary and expressions. Have you opened a can of worms recently? What happened. Write a sentence below in the comments and I will provide feedback.